to become part of . 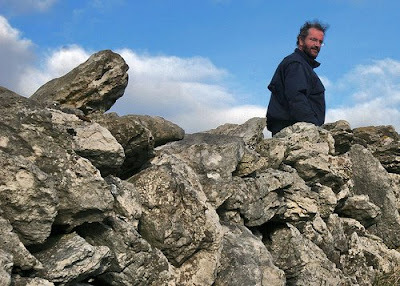 One of the most gifted mystic, philosopher and poet of our time, John O'Donohue, beginning of this year in January has passed behind the curtain of Eternity, to the Eternal Landscape which he was so fond of in his peaceful sleep on January 3, 2008. He has been rightly described as a man of the soul. His works will remain as scholarly meditation, synthesis of philosophy, soulful poetry and radiant source of spiritual wisdom for ages. The prestigious Review of Metaphysics commended him for "breaking new ground in our thinking about consciousness… (with) a richer and deeper notion of Personhood." 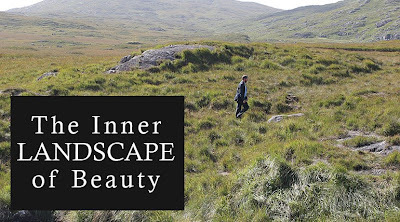 John is beloved for his book Anam Cara - Gaelic for "soul friend" - and for his insistence on beauty as a human calling and a defining aspect of God. John O'Donohue had a very Celtic, lifelong fascination with what he called "the invisible world." About him author and mystic Carl McColman in his blog Anamchara: Website of Unknowning wrote: "He was not only one of the most articulate voices of living Celtic Christianity and Celtic wisdom, but he also had a clear grasp of the beauty of Christian mysticism as well. He was a trained philosopher with a prodigious intellect. He was the only person I’ve ever met who could effortlessly and lyrically weave together allusions to Martin Heidegger, Meister Eckhart, and the Tuatha Dé Danann in a single sentence. Rest in peace, John O’Donohue. Walk gladly in the light of Tir na n’Og." When I started reading his book Anam Cara, a recognized spiritual classic of our time, the first few lines really struck me, how beautifully he expresses the mysteries of the Divine through language. In the Prologue John says, "It is strange to be here. The mystery never leaves you alone. Behind your image, below your words, above your thoughts, the silence of another world waits. A world lives within you. No-one else can bring you news of this inner world. ... Humans are new here. Above us, the galaxies dance out towards infinity. Under our feet is ancient earth. We are beautifully moulded by clay. Yet the smallest stone is millions of years older than us. In your thoughts, the silent universe seeks echo. An unknown world aspires towards reflection. ..." and the mysterious weaving of his brilliance with words full of spirit continues. In London there will be a gathering in loving memory of John on the evening of the 16th April and my friend Cailean who gets the credit for introducing to me John's writings and book will be attending, God willing. In response to Cailean's request and remembering John's tender soul, here is a beautiful blessing poem by John. May your heart be somewhere a God might dwell. May your soul discover time in presence. May thought-light console your mind with brightness. May the dawn anoint your eyes with wonder. May your winter places be kissed by light. May the grace of change bring you elegance. May your outer life grow from peace within. May beauty await you at home beyond. Some blessed souls are privileged to come back again and again after they are no longer in their physical body. John is one of such soul who will return to his friends, to his readers in their memories, consciousness through his beautiful legacy of writings. As I was listening last night to his wonderful interview with Krista Tippett in the program Speaking of Faith, I was immensely touched by John's depth of wisdom and profound beauty that he embodied. A beautiful Interview // I surely would love to recommend you to listen to this audio (complete, unedited) interview of him, his last before his death in fact. Click HERE to listen to the mp3 audio (or you may right click to select Save As to save the mp3 file on your disk to listen from your computer). Its from John O'Donohue's interview on Speaking of Faith program.
. You can also listen to past interviews with John from NPR in 1999 and 2005. There is a memorial planned for May 3, 2008 in Santa Monica, California. Plans are still developing for services on the east coast of the US and in the UK. 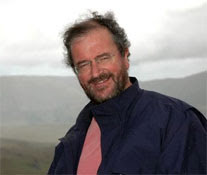 Click here to know about Memorial Services to remember John O'Donohue. "There is an unseen life that dreams us; it knows our true direction and destiny. We can trust ourselves more than we realize, and we need have no fear of change." "The greatest friend of soul is the Unknown." "If you live the life you love, you will receive shelter and blessings. Sometimes the great famine of blessings in and around us derives from the fact that we are not living the life we love; rather, we are living the life that is expected of us. We have fallen out of rhythm with the secret signature and light of our own nature." [>] more quotes by John O'Donohue.